The iPhone 5 and iPhone 5S, in terms of charging are far ahead of their league since they use a lightning charging standard. 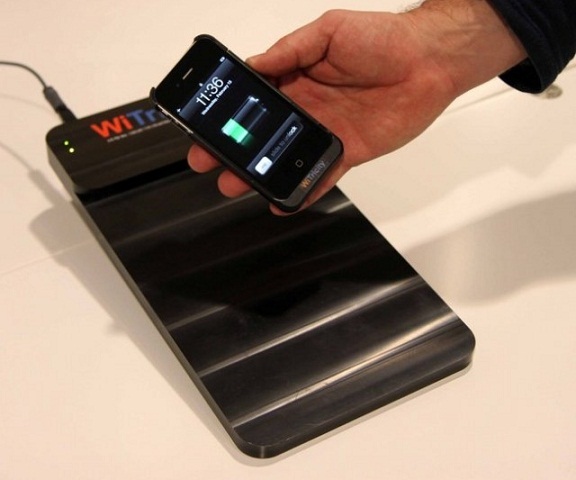 WiTricity aims to push your iPhone5/iPhone 5S even further by endowing it with a wireless charging system. Wouldn’t you like to charge your iPhone 5 / iPhone 5S without all the wires? The WiTricity wireless charging system works using magnetic resonance. What this means is that your phone can be easily charged from a distance and you don’t have to depend on a charging plate to charge it, like one would with phones like Nokia Lumia 920. Not just that, if use a wireless power repeater, it can even charge your iPad and other devices. The WiTricity wireless charging system, showcased at CES, comes priced at $99 for the pad and $49 for an attached case. WiTricity has been pretty awesome lately and one of the products they showcased at CES was a bowl in which you drop your wearable tech like smartwatches and they get charged.